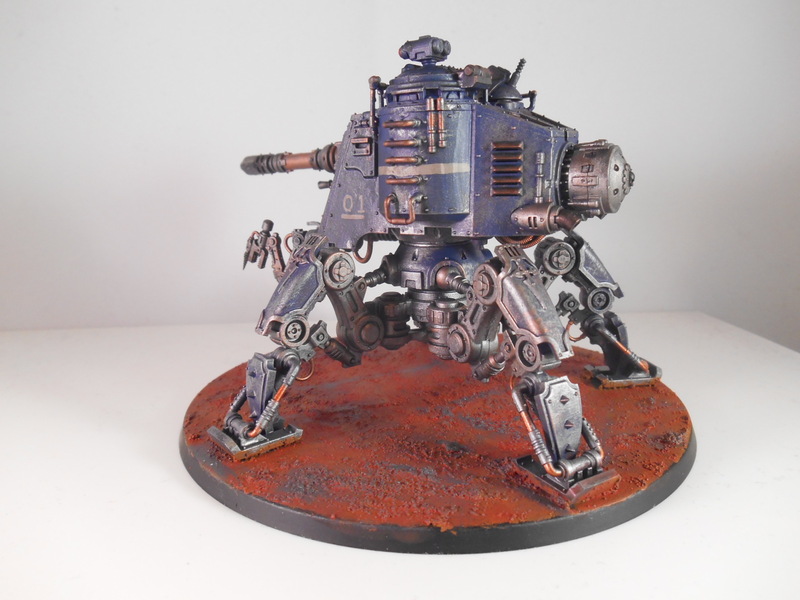 After returning from a family reunion, I’ve taken the time to spray up and paint my next Onager Dunecrawler. 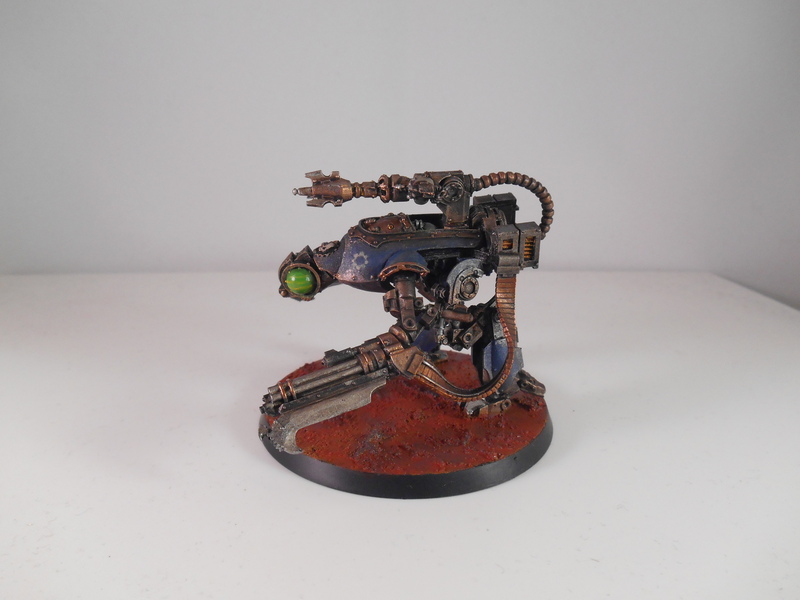 I had finished its assembly on thursday, sprayed it today and painted it this afternoon! 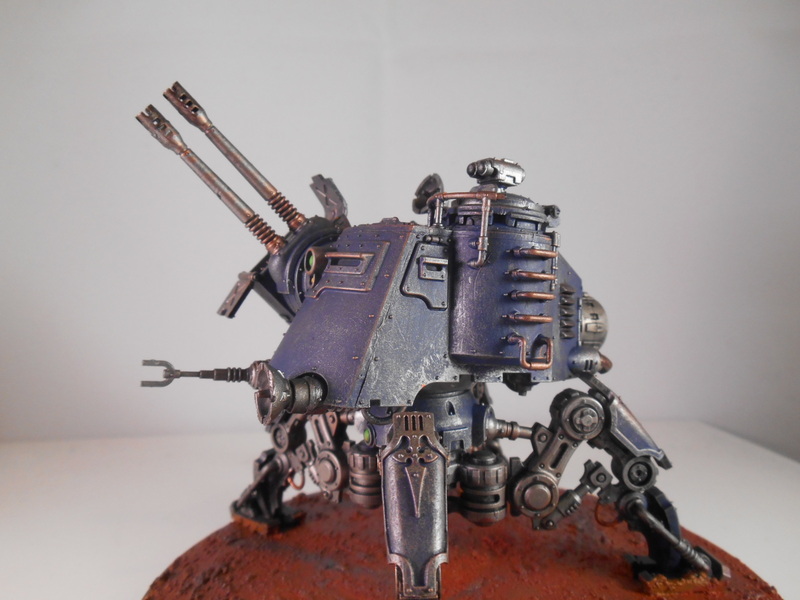 I’m missing a few details, unit markings and lights for the most part. 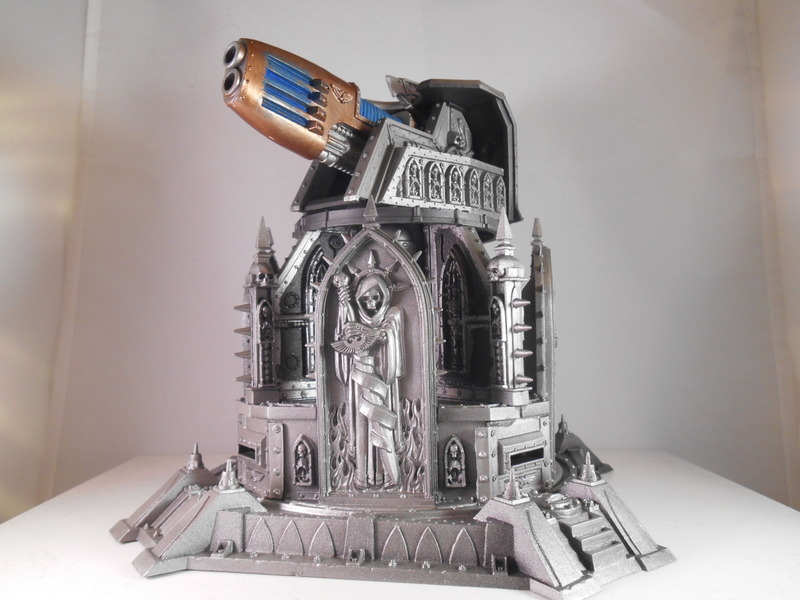 and a few bits could do with cleaning up. 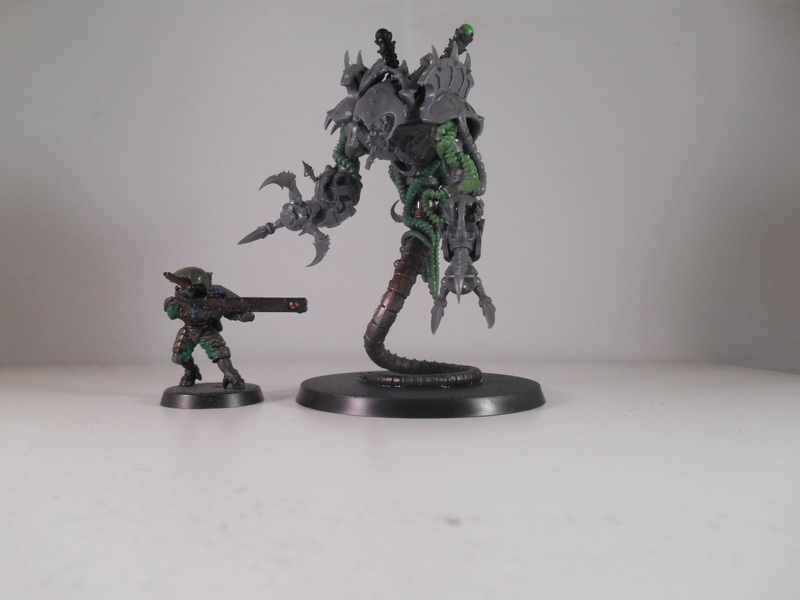 but I’m happy with today’s progress! 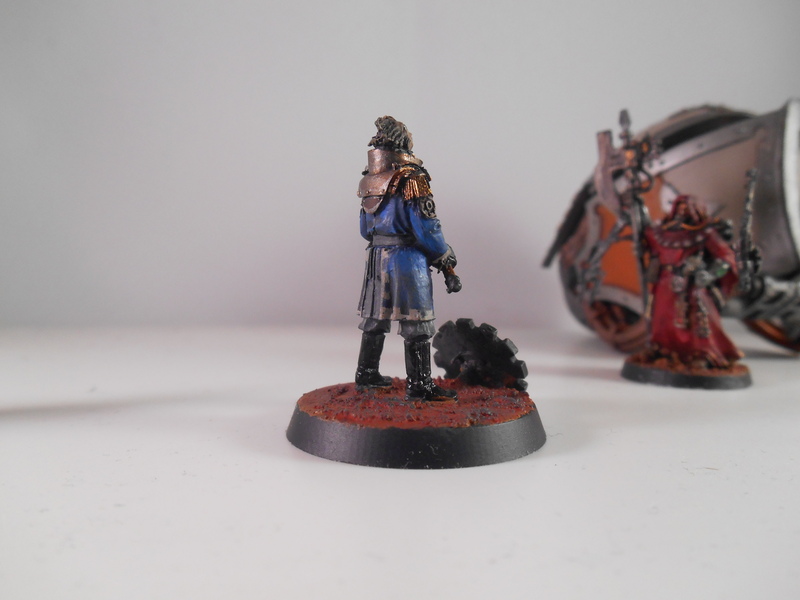 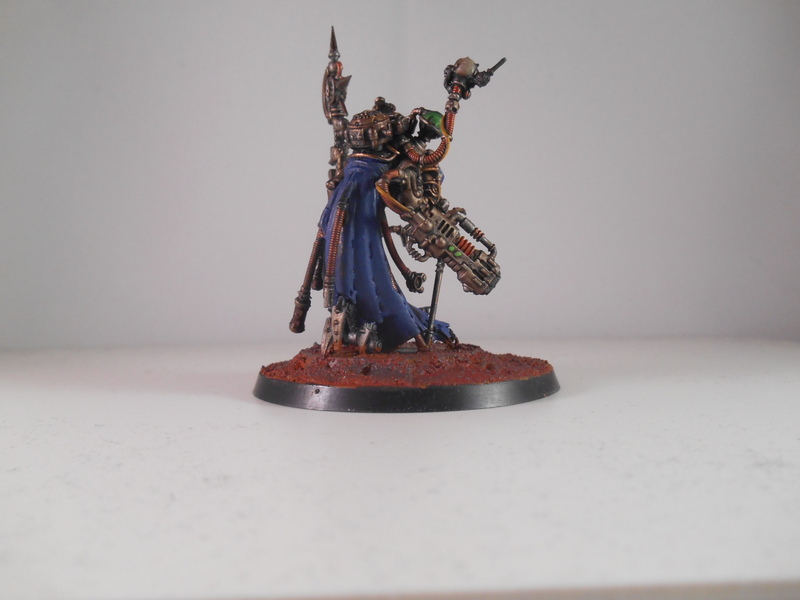 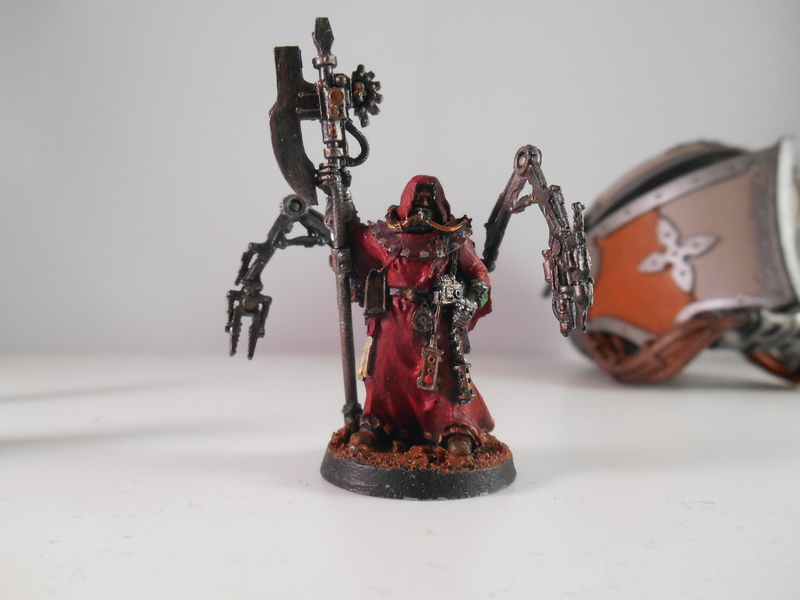 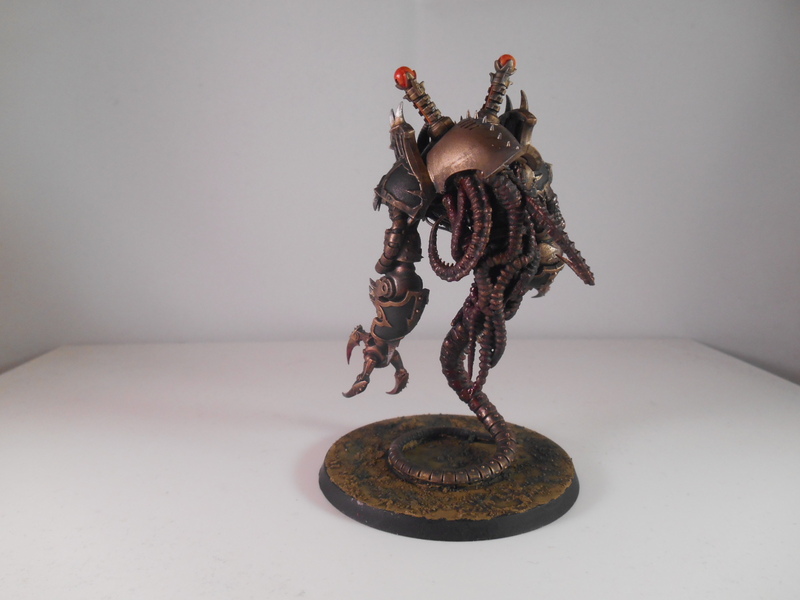 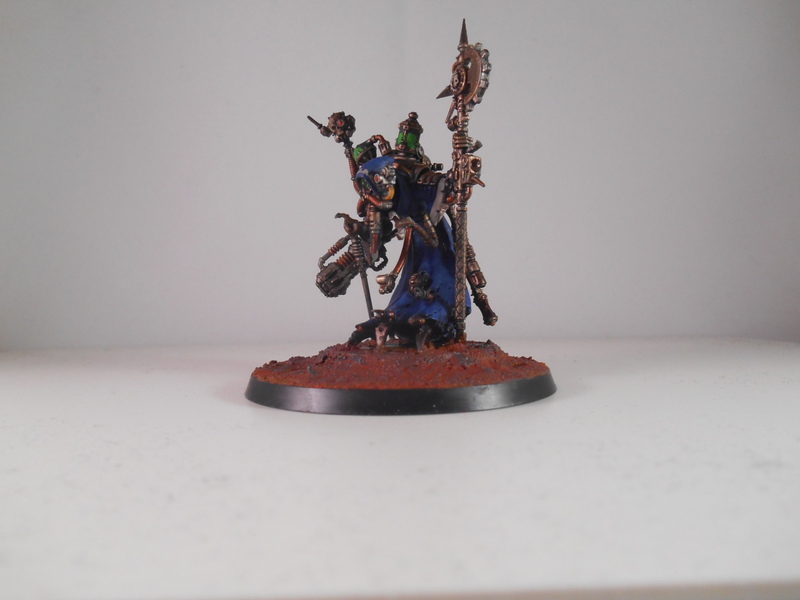 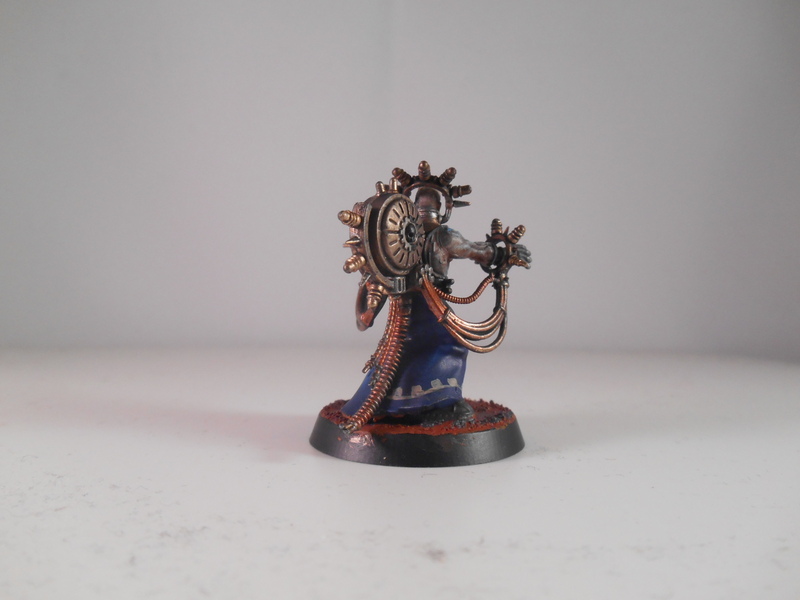 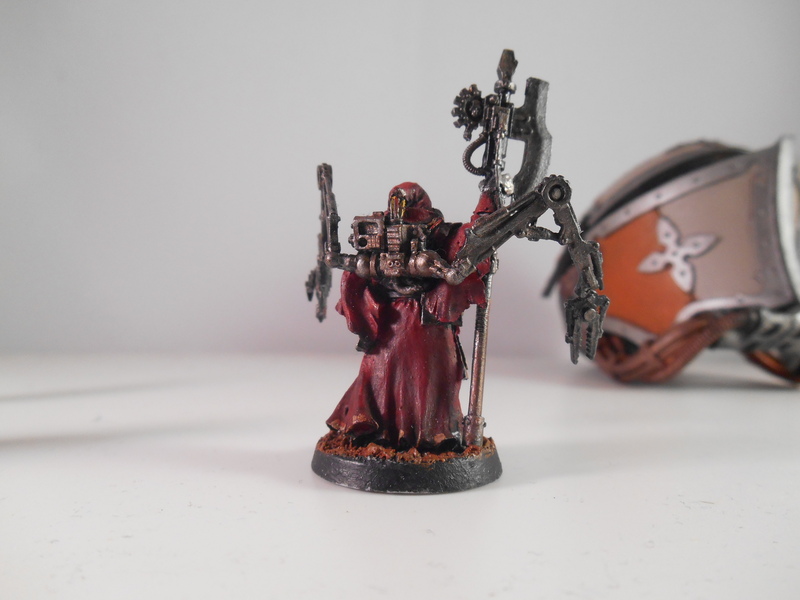 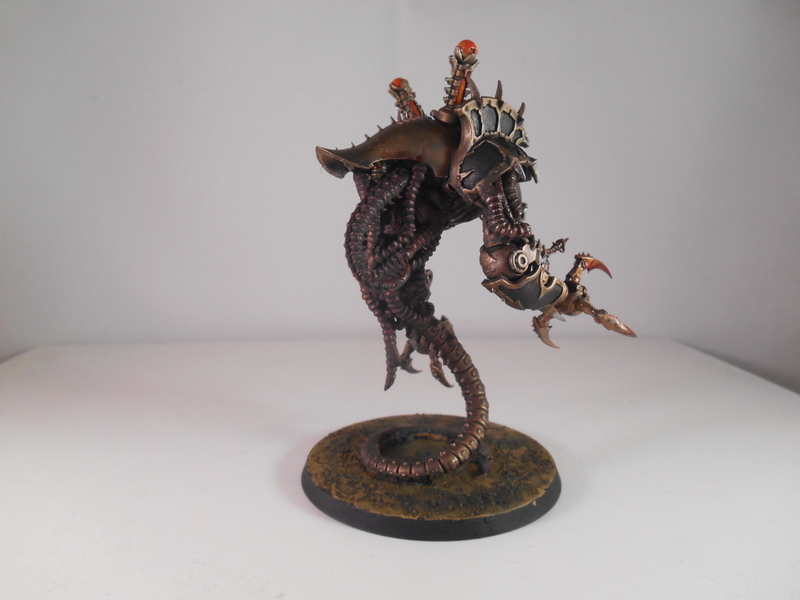 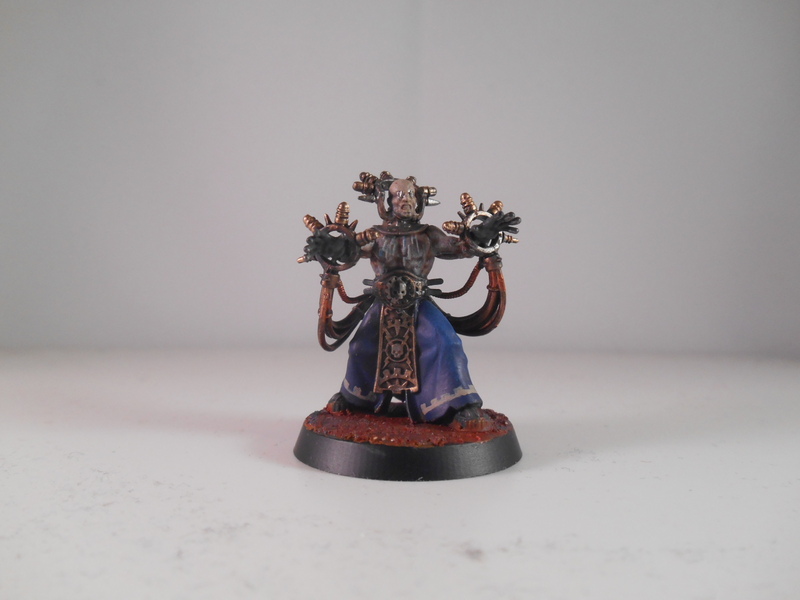 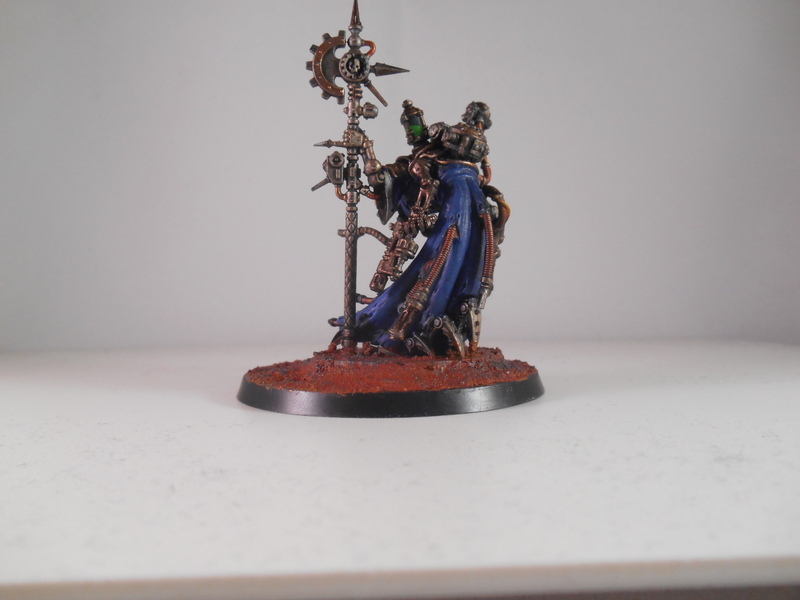 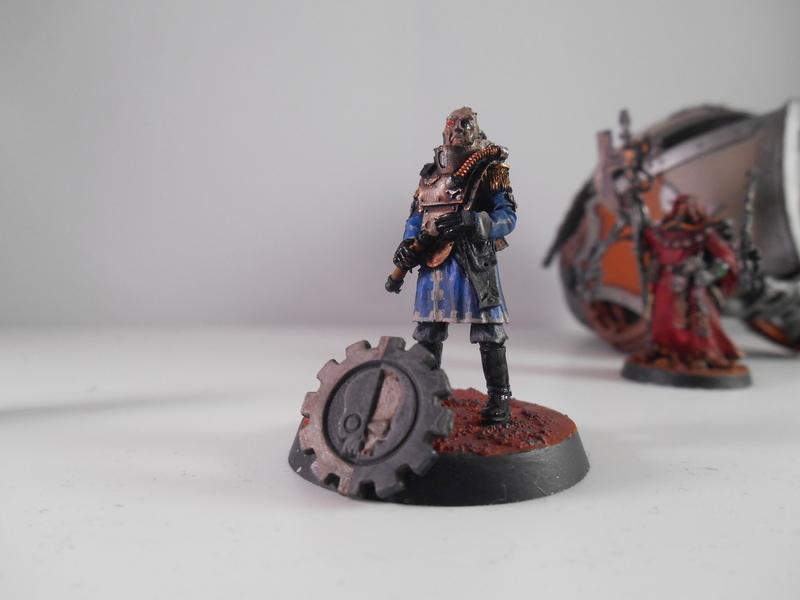 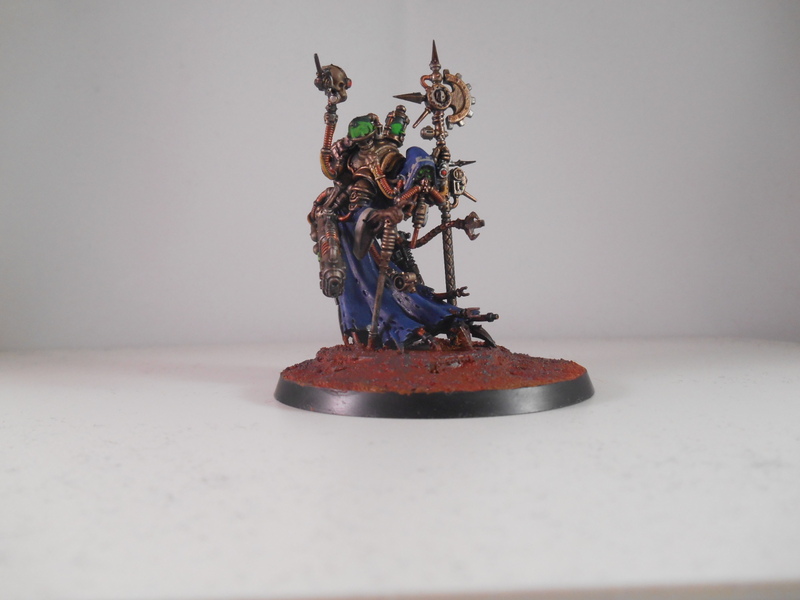 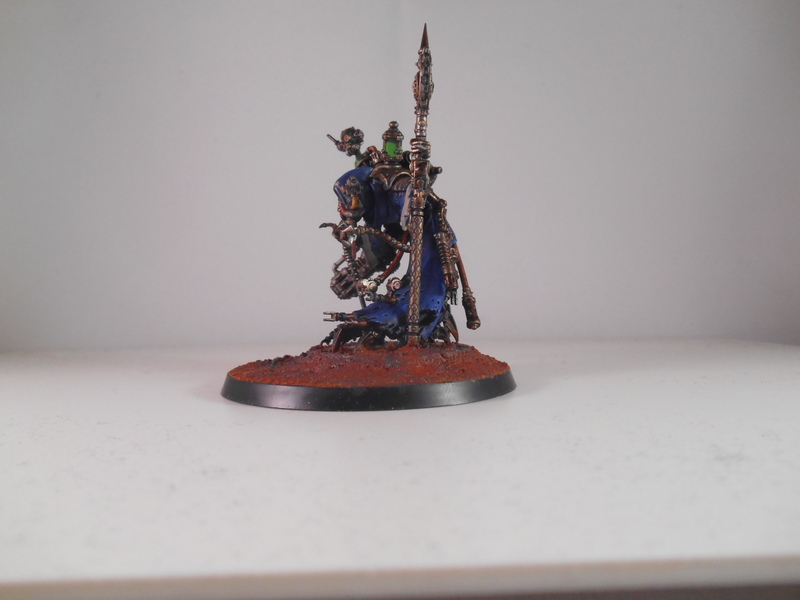 Also on Thursday, I painted one of my Electro-Priests. 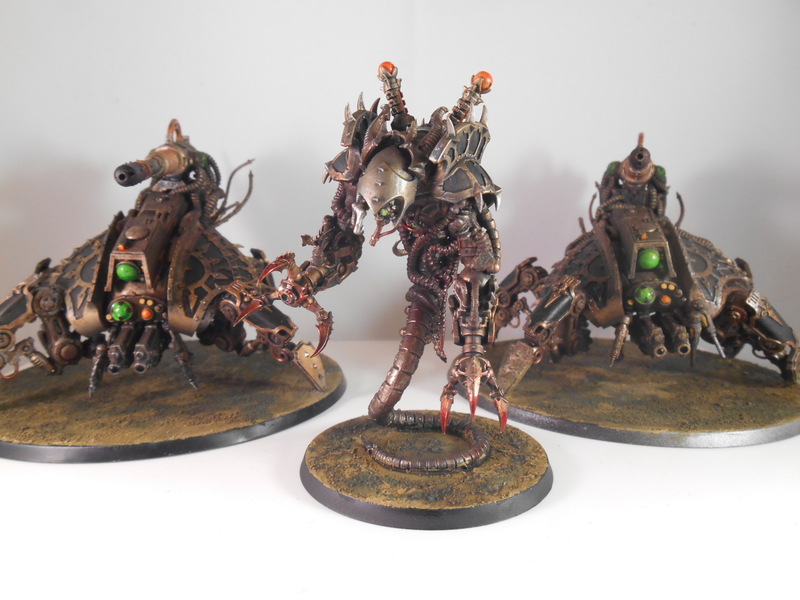 I believe these are the Corpuscarii type, they shoot lighting from their hands and probably make horribly bad puns every time. 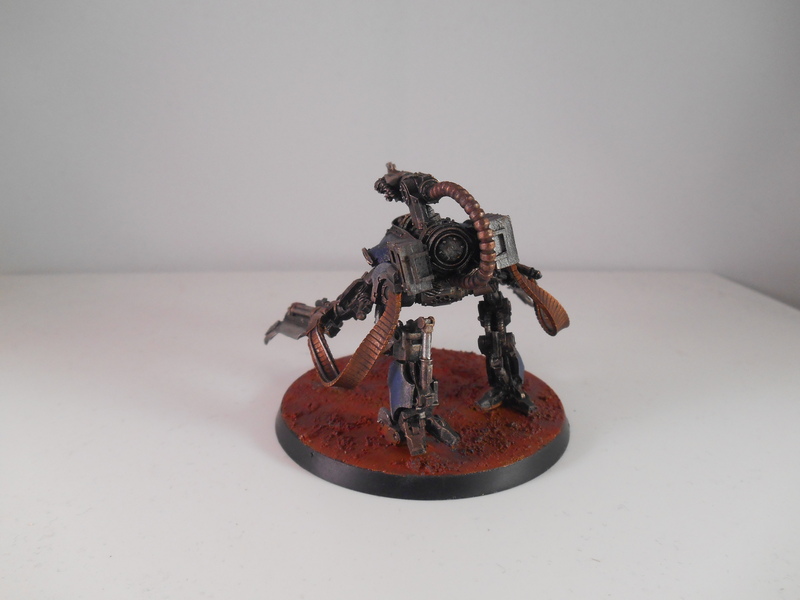 I’m also really happy with a tiny little bit of conversion, I drilled out the hatch’s hinge, pinned it and it now opens and closes. 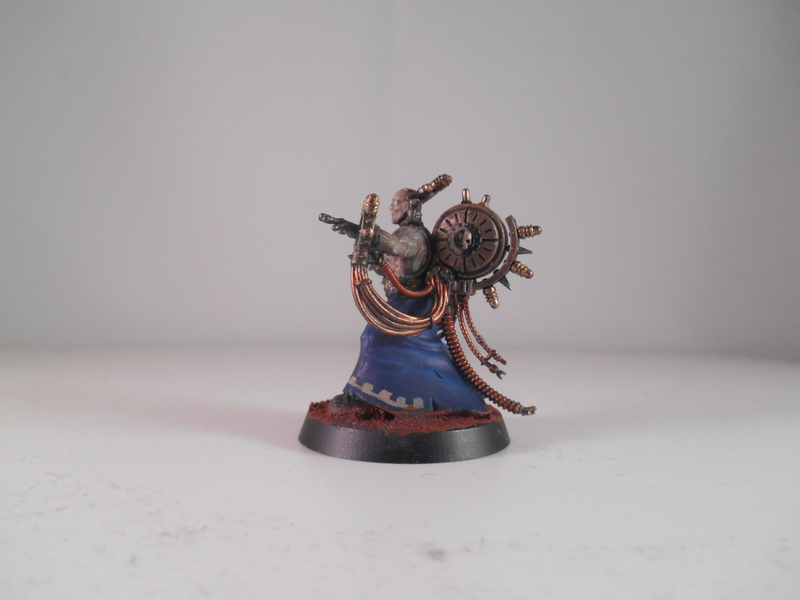 I can then put the pintle gunner in if I want to field it that way. 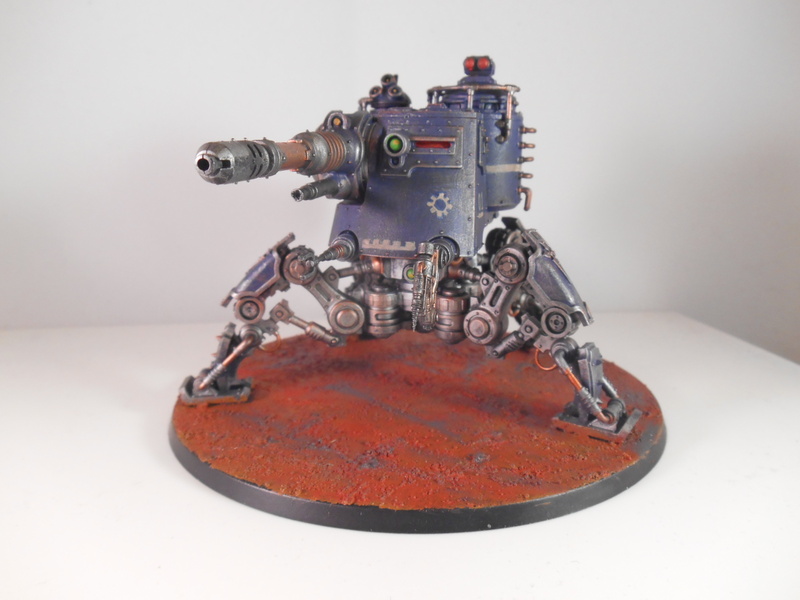 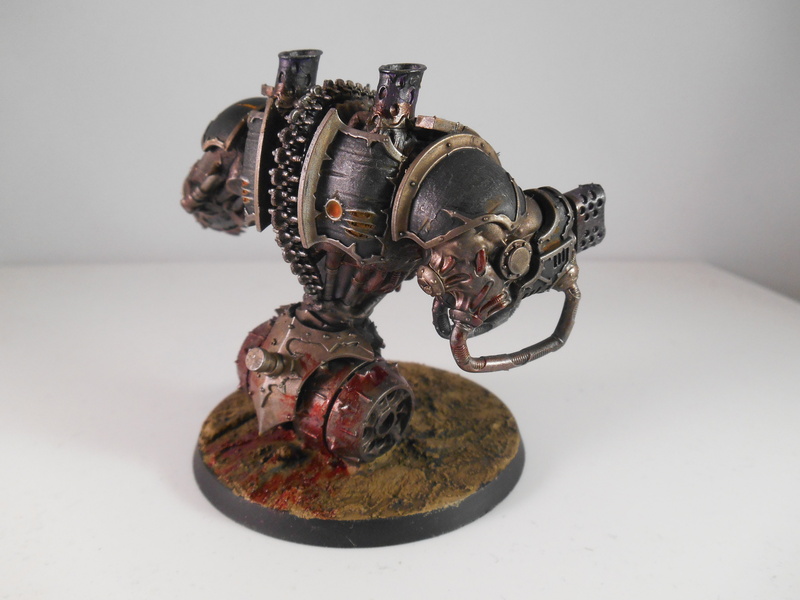 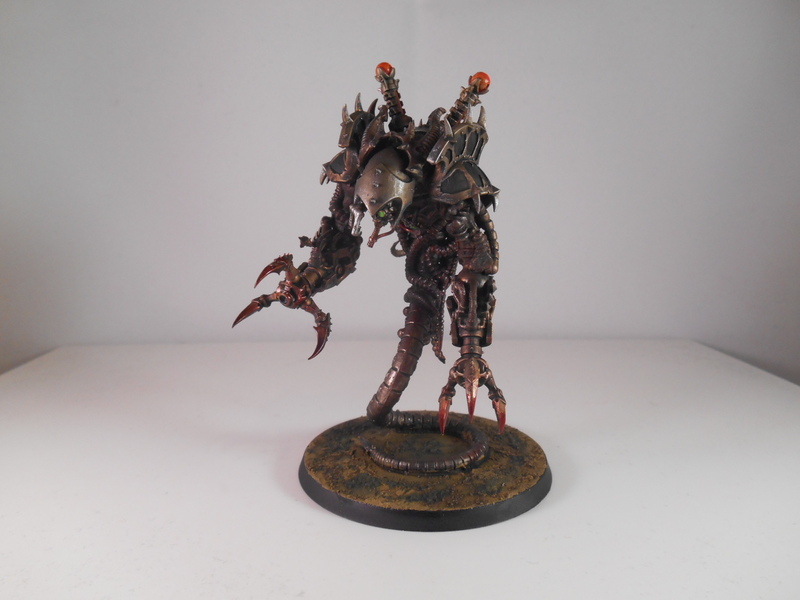 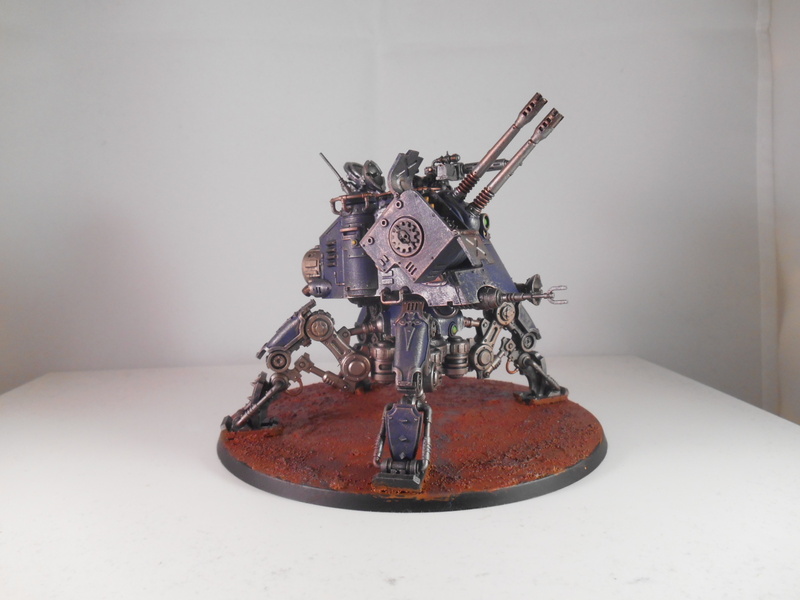 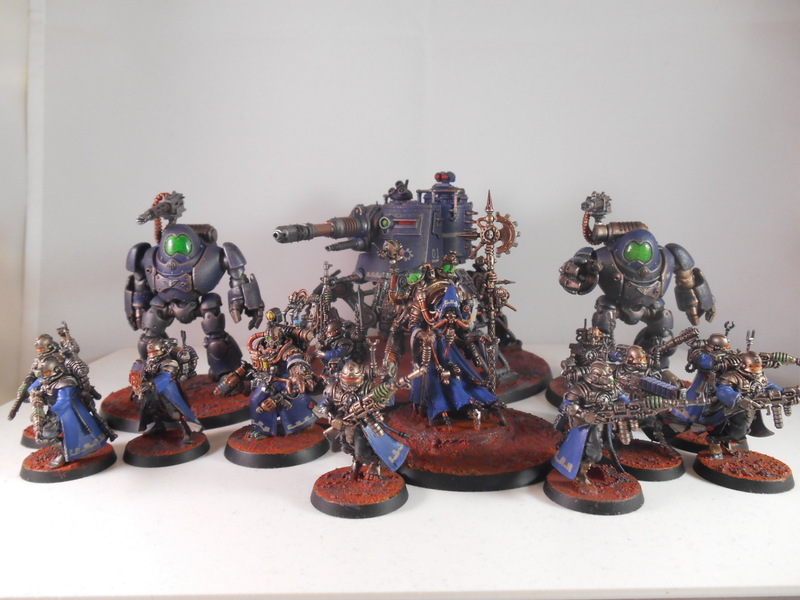 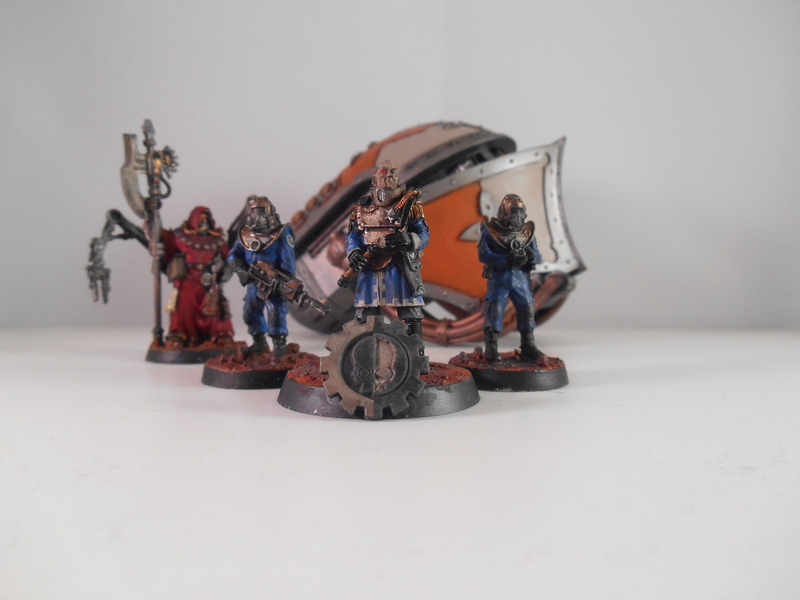 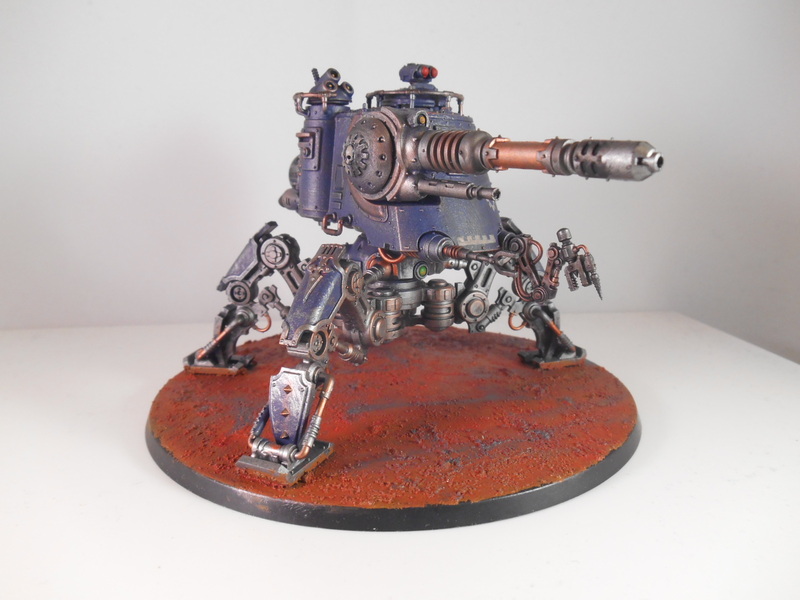 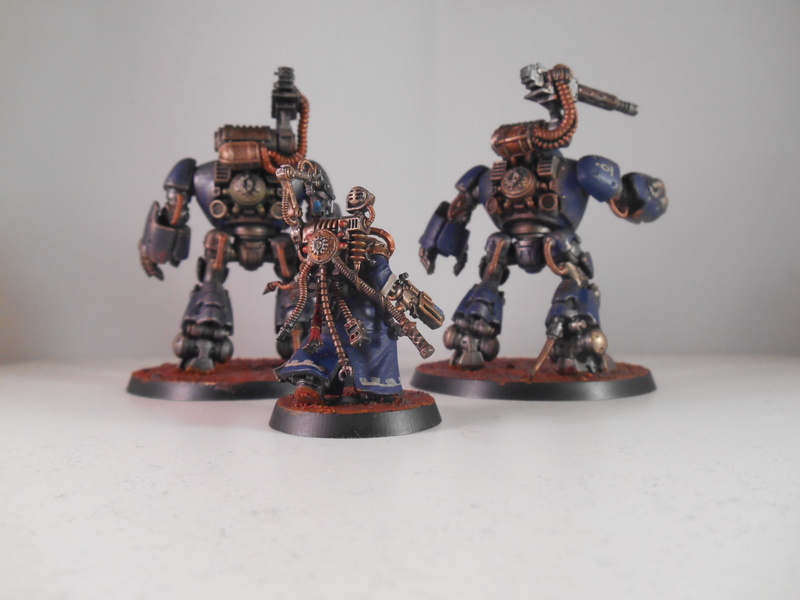 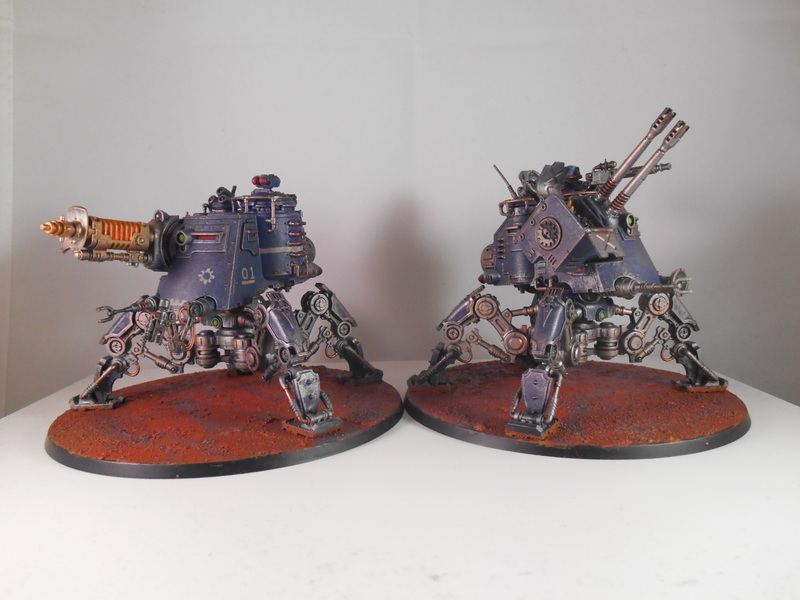 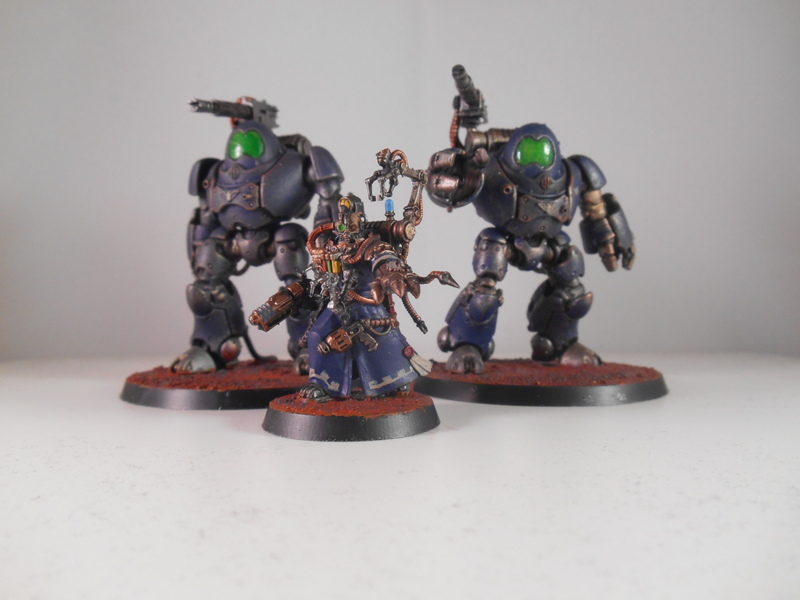 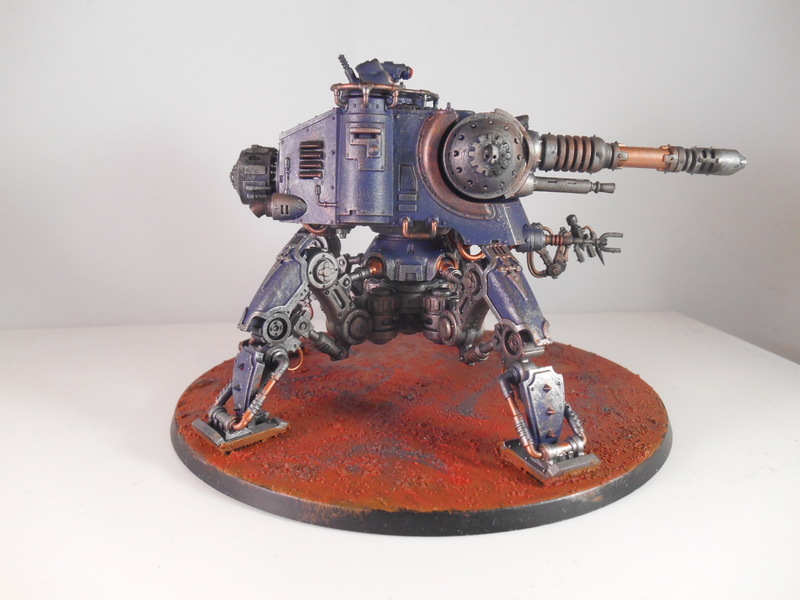 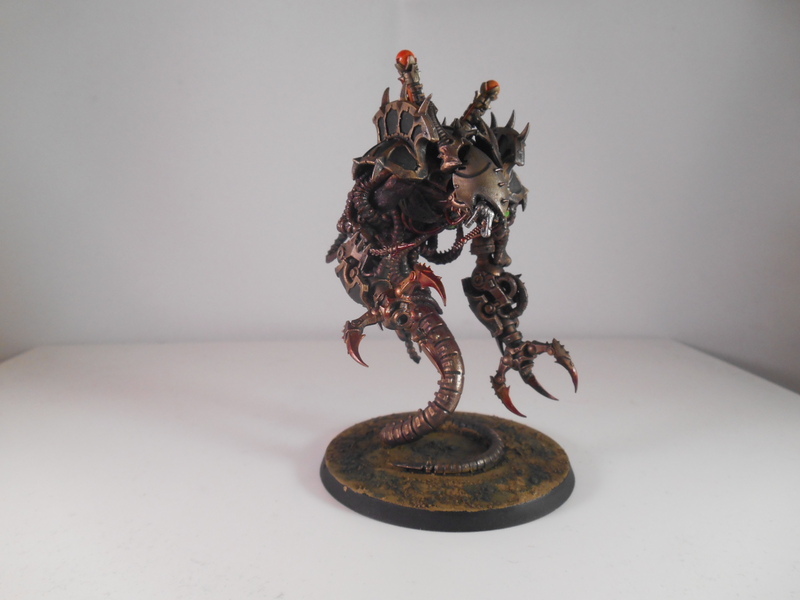 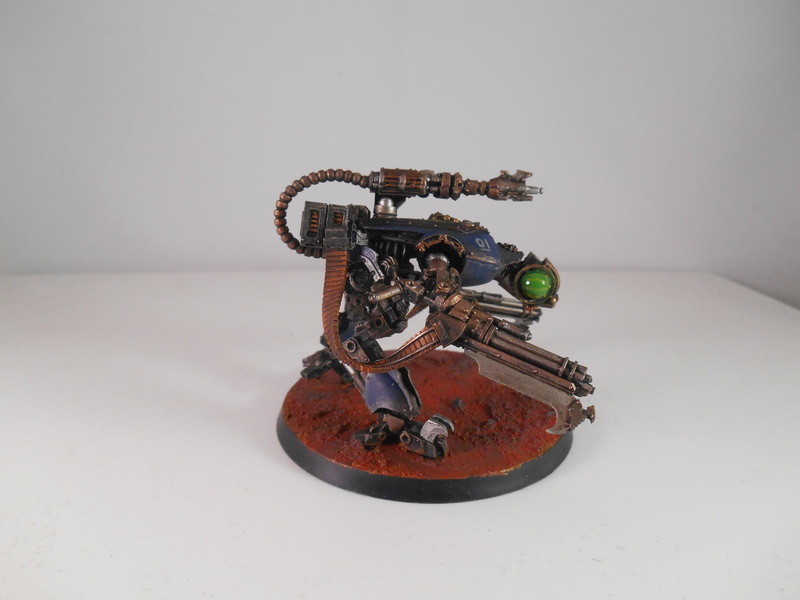 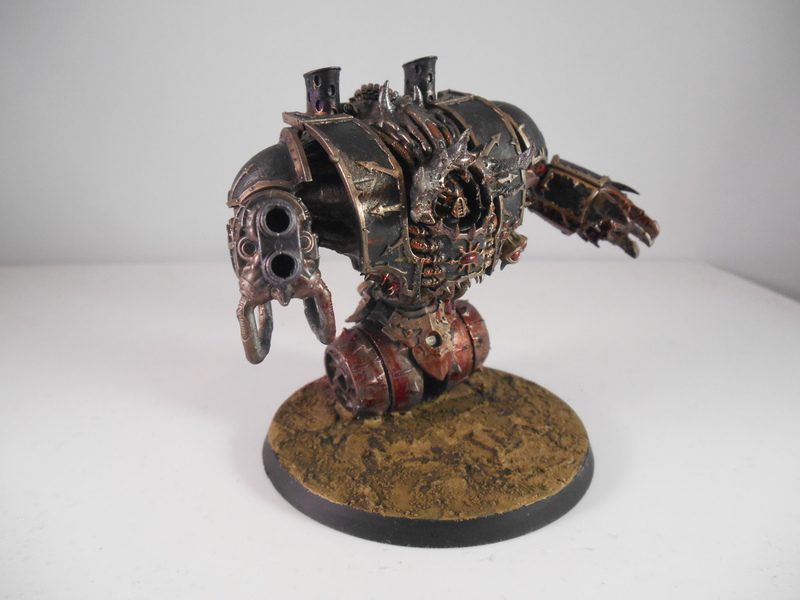 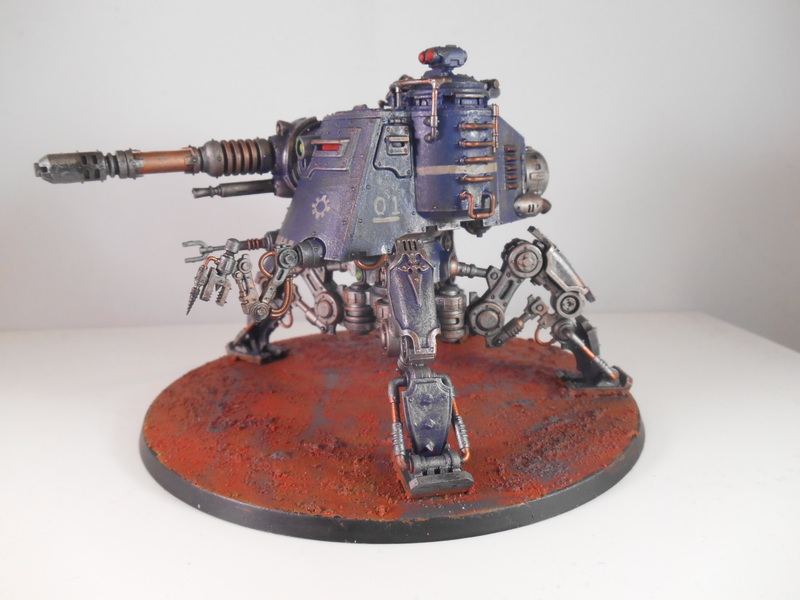 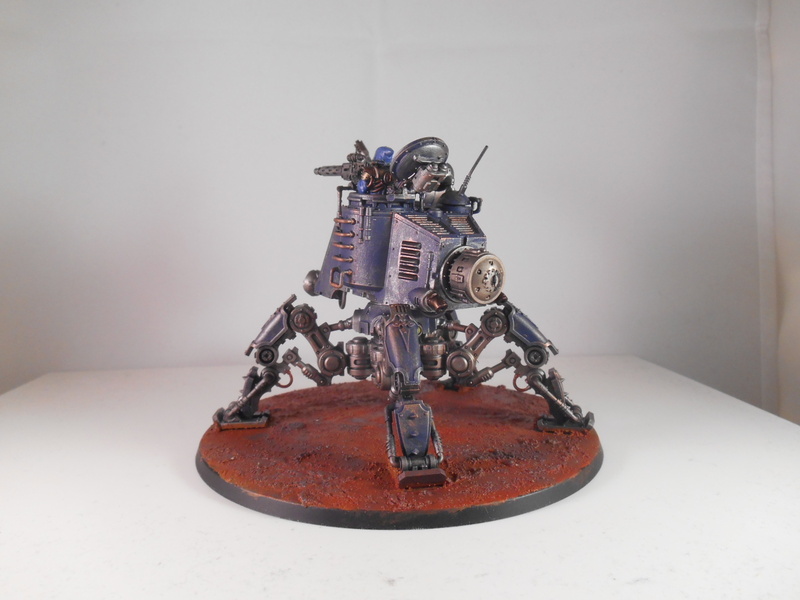 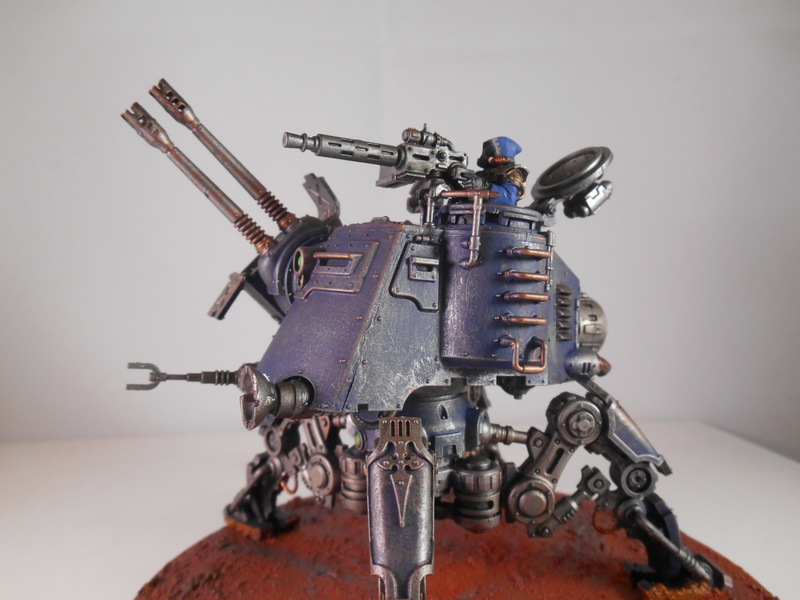 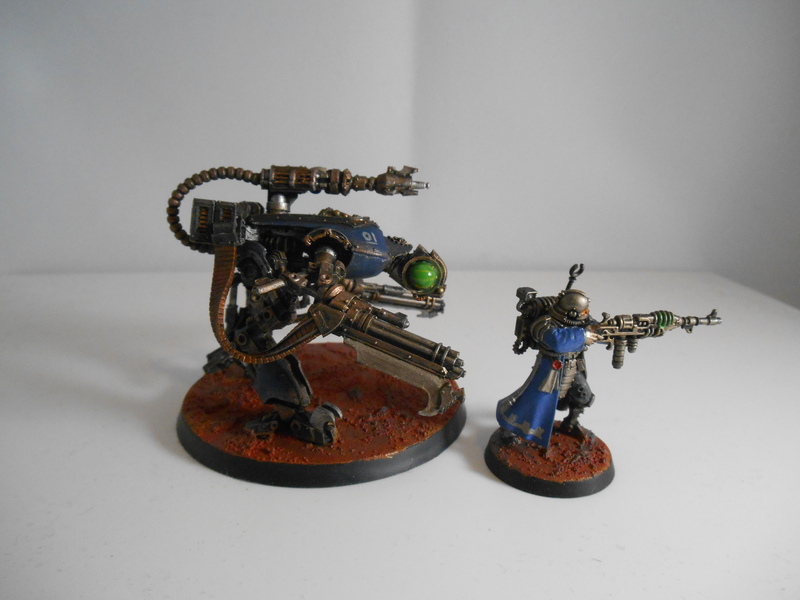 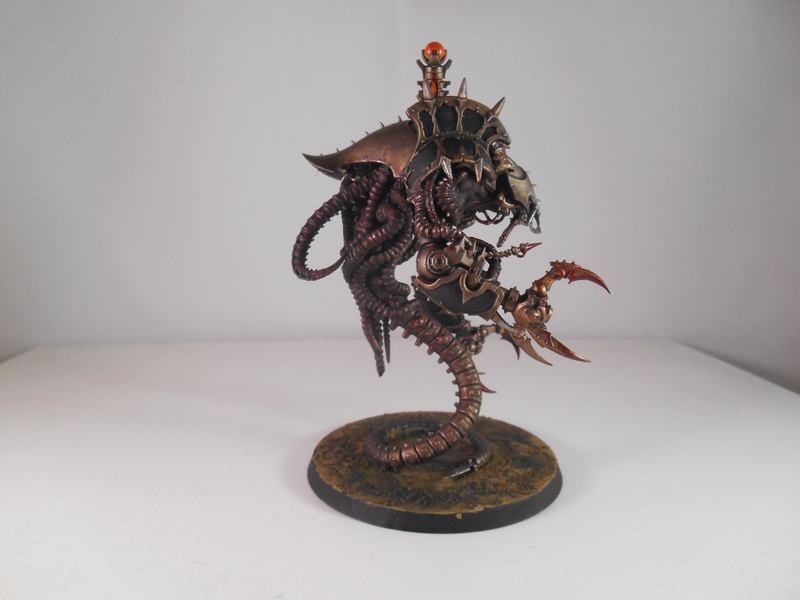 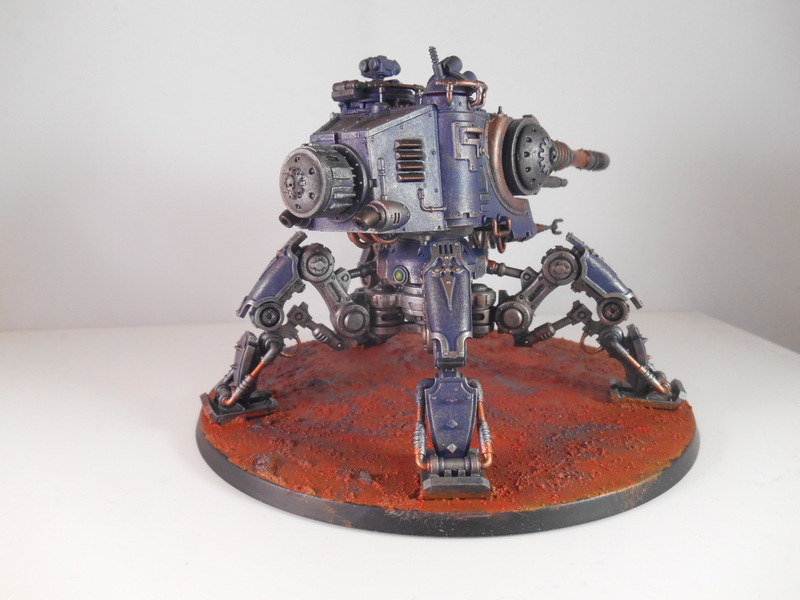 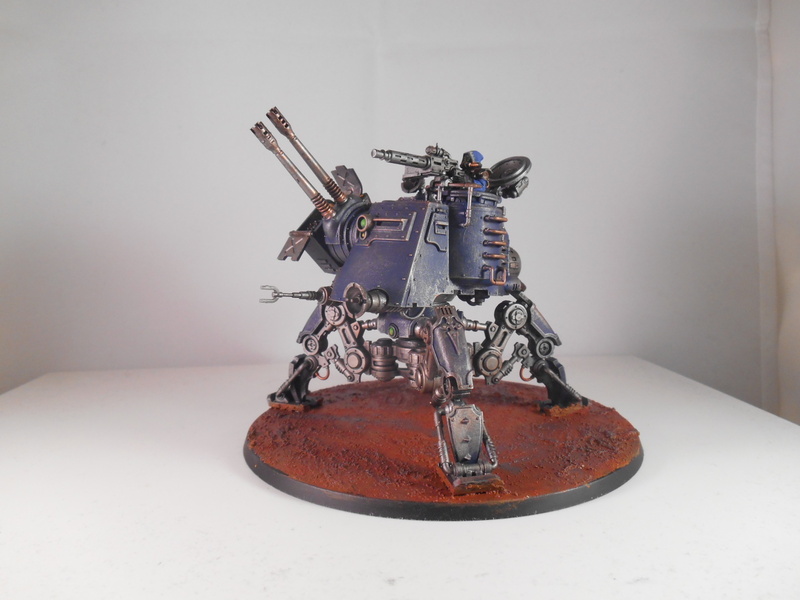 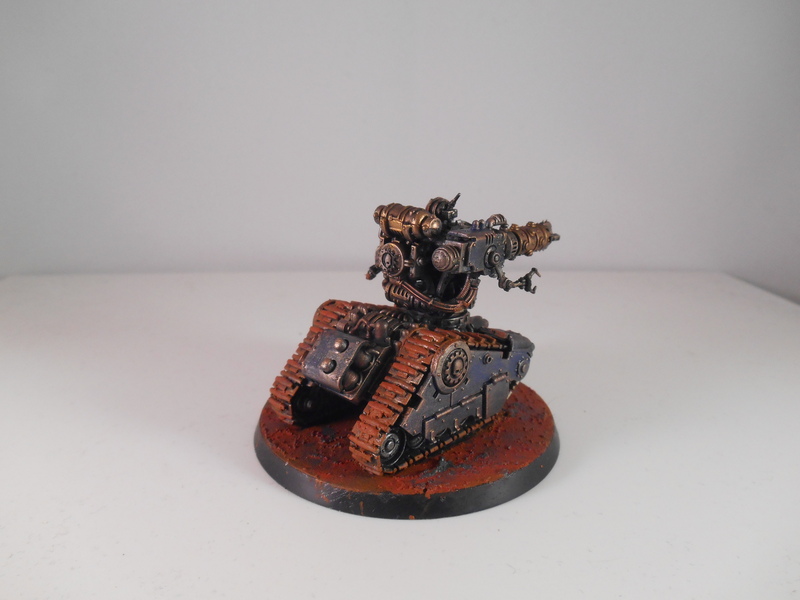 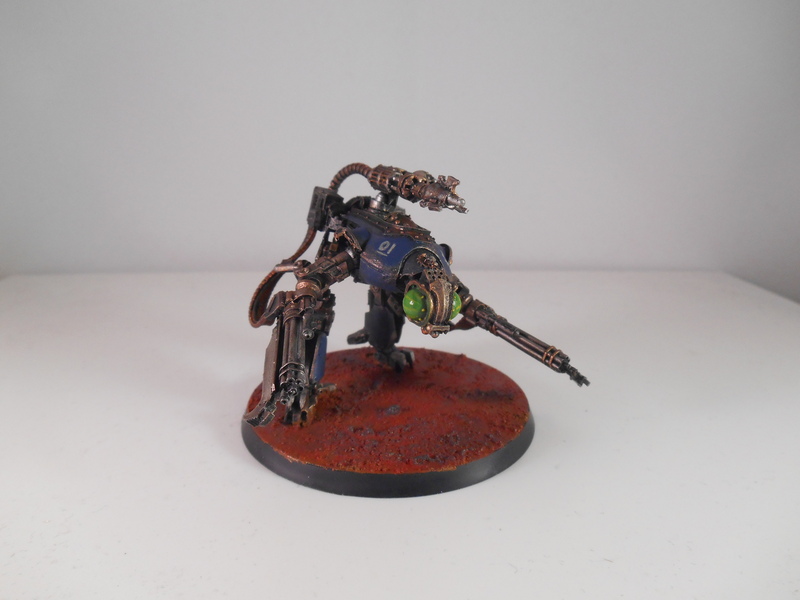 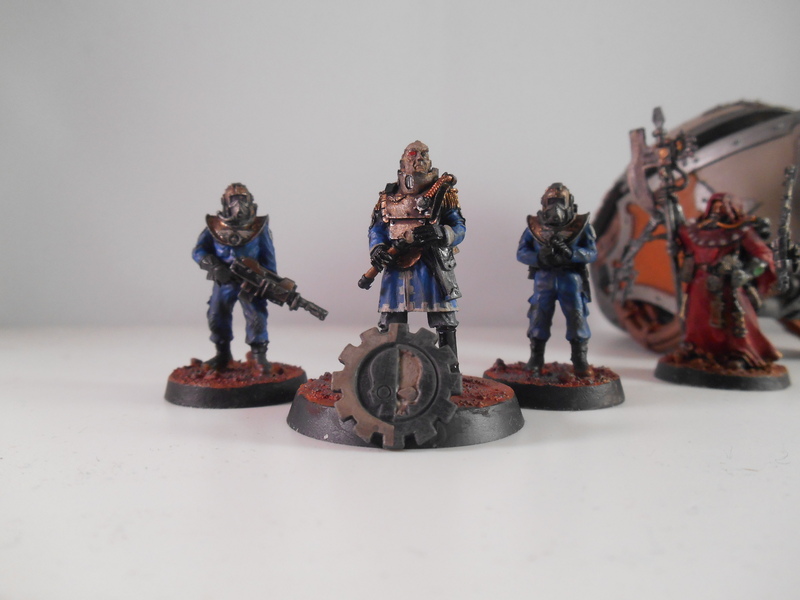 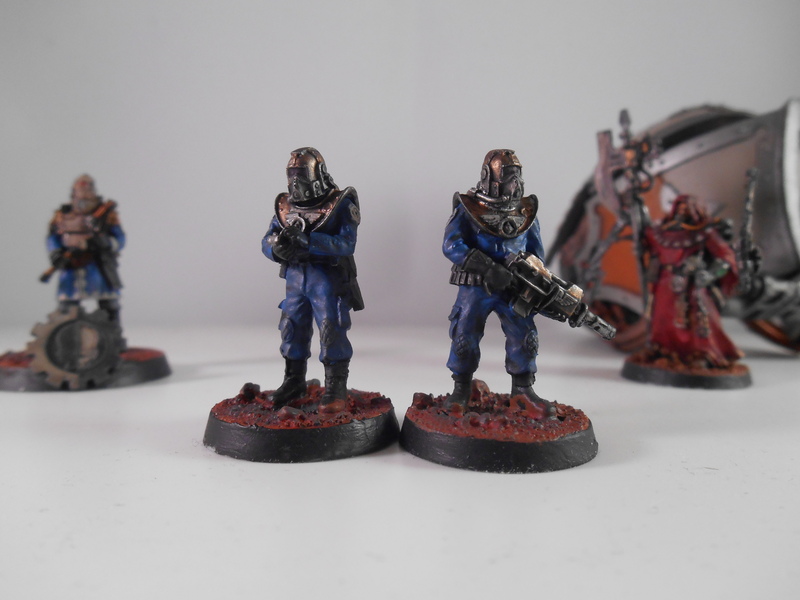 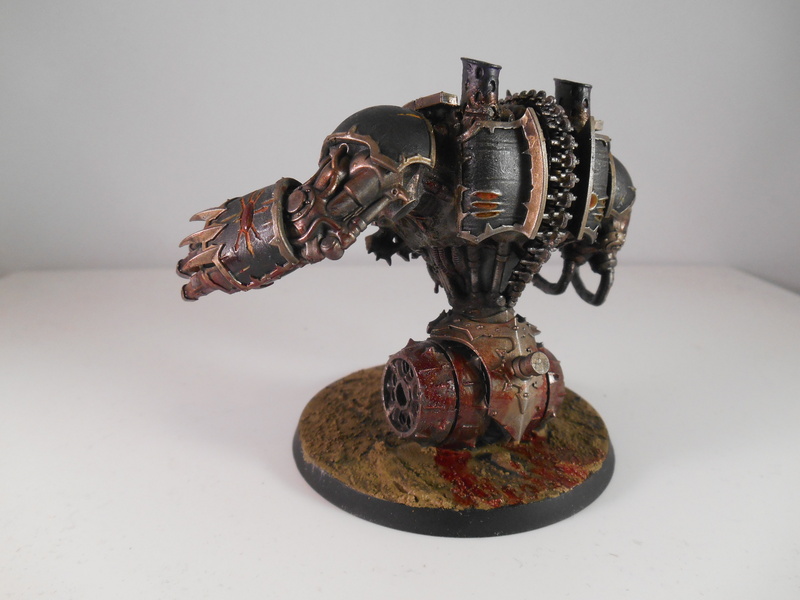 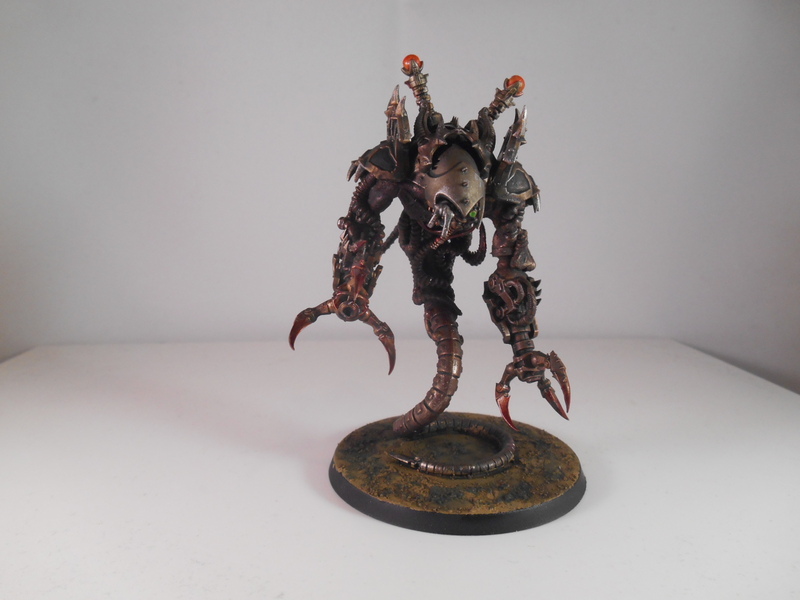 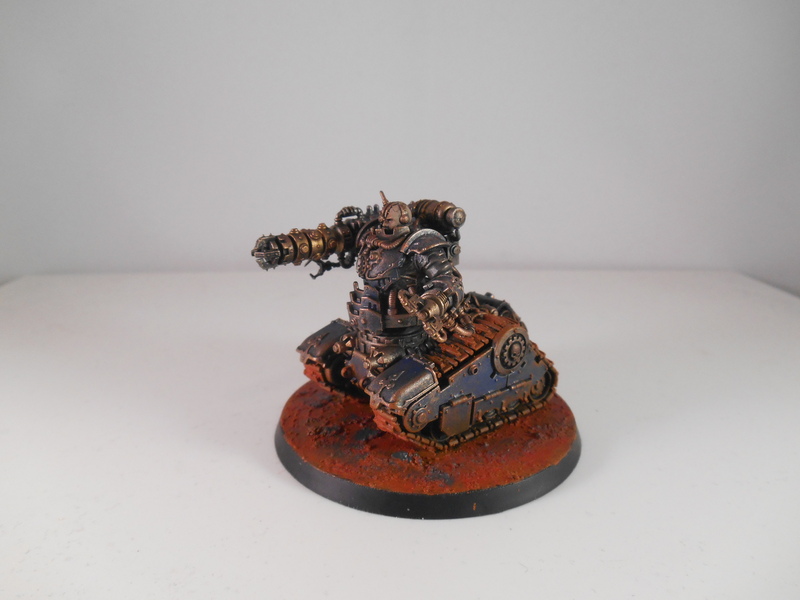 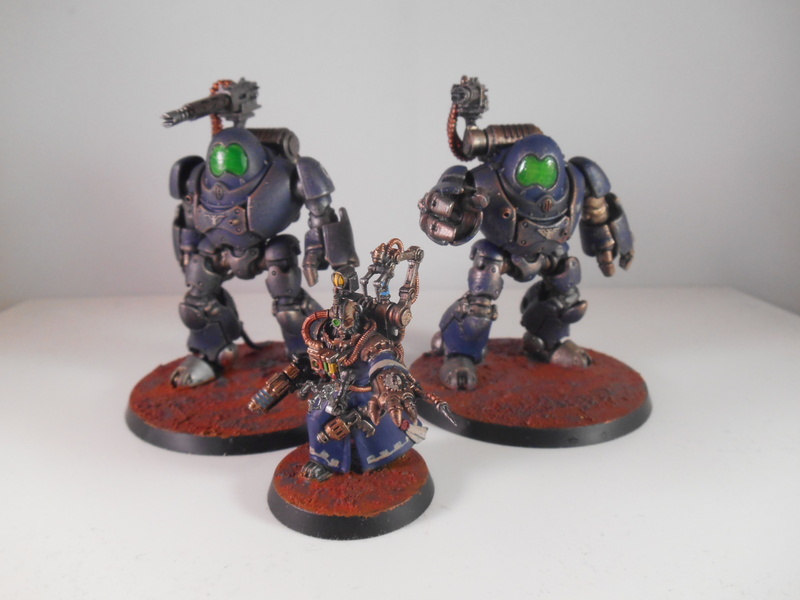 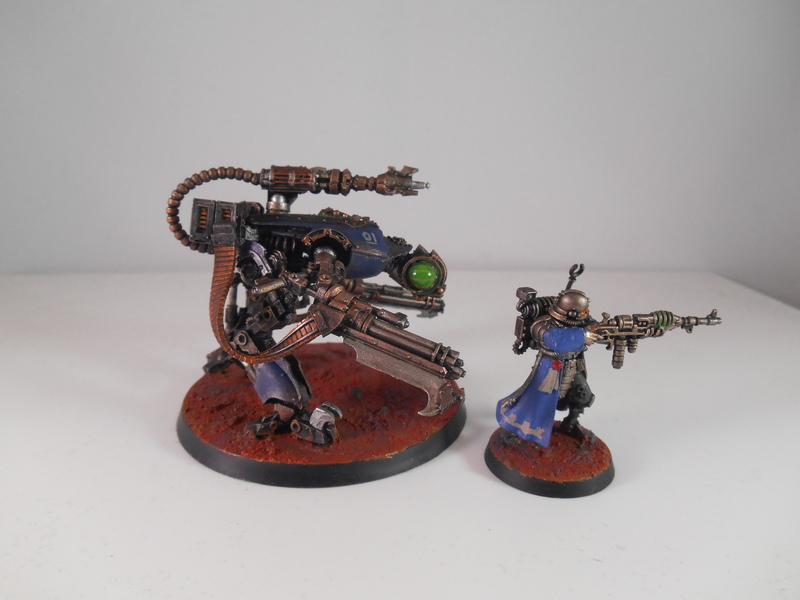 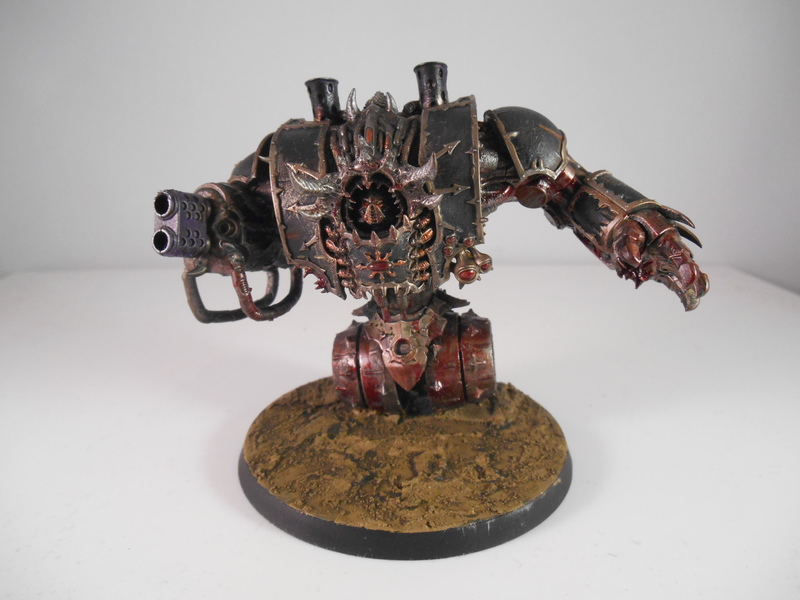 This entry was posted in Mechanicum, Skitarii, Warhammer and tagged 40k, Admech, Conversion, Dunecrawler, Electropriest, Mechanicum on June 7, 2015 by ruadhan2300.